Amid huge hype, Google Hire is set to be the latest game-changer in the recruitment sector, with the rollout of its hotly anticipated job search service launching this week in the US. Volcanic is fully compliant with the Google platform, as are all job boards that use structured data markup to organise their data. Volcanic is in talks with Google over partnership for its UK launch, expected later this year. 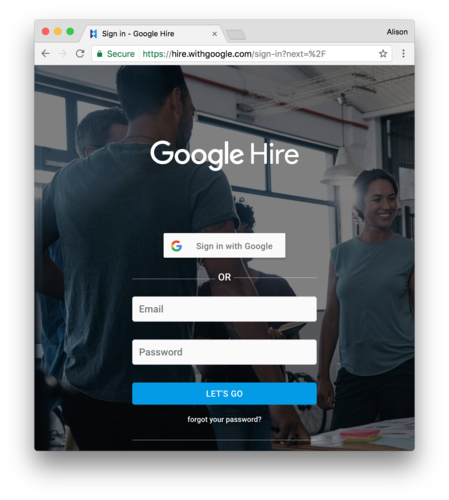 Google Hire, also dubbed Google for Jobs, uses Schema markup from job boards to populate listings, and Volcanic launched Schema markup more than a year ago across all its job boards and recruitment websites. To facilitate job search, the Volcanic coding framework stacks content in such a way that it provides not just source data, but also puts it into meaningful context. Because the back end code pulls through, creating the ‘stack’ of data, the context around the job can be searched and relevant postings found. Simply put, the Volcanic framework matches exactly how Google Hire wants jobs to be fed into its search engine. Google’s applicant tracking system (ATS) is regarded as the best in the world, with the result that Google believes it can control the flow of jobs and candidates in a congested market. And by leveraging its technology and taking on companies such as Taleo, Kronos and ICIMS Google’s audacity is set to be game-changing. Google identified that job search was the key area that made a difference to the success of a job seeker, ie “Did I, or didn't I find a relevant job?” and immediately realised that standardising job search terminology was crucial. Because job seekers typically search for jobs in their own vernacular, Google worked to standardise, or ‘translate’ job search terms. Google’s artificial intelligence (AI)-powered job search tool means that people can use generic job search statements and navigate to the most relevant jobs for them. This machine learning, or AI, develops Google’s knowledge of jobs sets, including skills related to each job and the different industries in which jobs with similar titles sit. This leap forward in job searching is set to change the way people look for work in the future. Google Hire - Indeed or Job Aggregator? Based on Google’s current business model and tech, indexing should pose no problem but, initially, there may be an issue of uptake on the platform. This will likely be overcome by backfilling vacancies with jobs from others’ sites, in the same way as standard aggregation sites. If Google acts as a Job Board, it will compete head-to-head with Indeed, who relies heavily on organic traffic. At the Google I/O summit, Google announced partnerships with Monster and other vendors, but conspicuous by its absence was Indeed. This was seen by many as a statement of intent. It’s unlikely that any transition away from the Indeed/Google relationship will be pain-free or quick. Indeed and other job boards pay large sums of money to Google for Pay Per Click (PPC) traffic through Google AdWords, and many smaller job boards are solely reliant on Indeed traffic. For this traffic to be instantly removed would destabilise the industry, which Google will want to avoid. Instead, we predict a gradual drop in traffic from Indeed over time if Google moves into this area of the market. Perhaps one of the most interesting competitions that will develop is between LinkedIn and Google. Microsoft's $26bn purchase of LinkedIn may have come as a surprise to many, however, as a data exercise it made perfect sense. LinkedIn holds a huge amount of B2B data, which Google finds very difficult to access. Microsoft is now able to leverage this data through its Bing Ad Network (its competitor to AdSense), which is very attractive for B2B advertising. Google needs a competitor brand to Microsoft in order to keep the Doubleclick network relevant and performing. After the arguable failure of the social element of Google+, the only competitive area where they can take on LinkedIn is in the jobs market. The volume of data that Google will build about companies will far outstrip its current date for business/places and will help Google to build a highly targeted programmatic advertising platform for this market. One of the UK’s fastest growing tech companies, Volcanic’s ambition and technological know-how is driving game-changing developments in global recruitment technology. Its partnership to support the UK rollout of Google Hire is the next logical step.